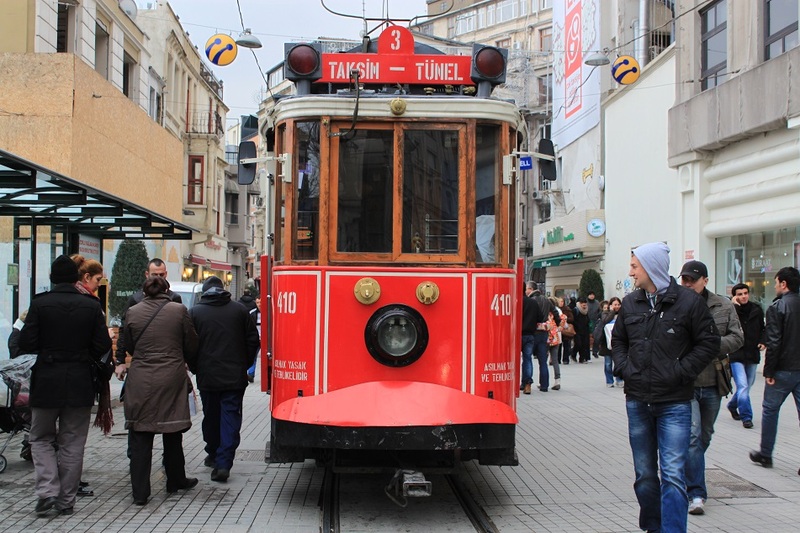 Beyoğlu: Where Cultures Collide | What an Amazing World! 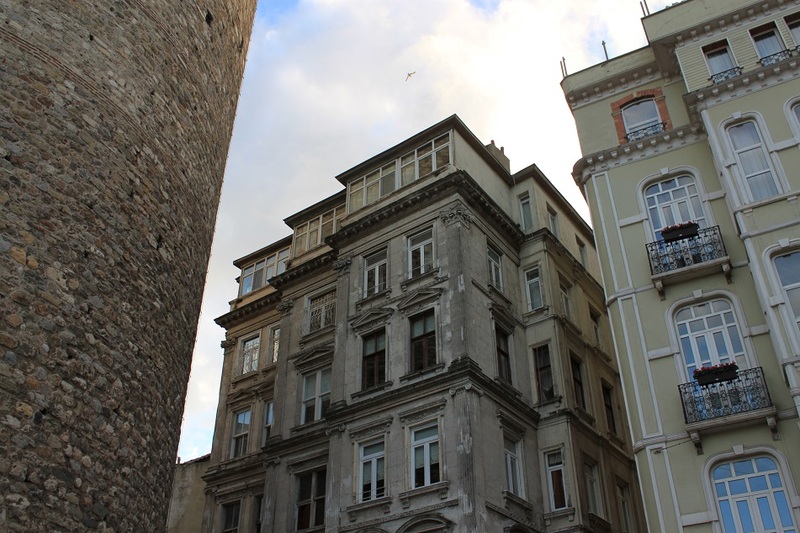 A cylindrical tower covered in bricks made of stone rises among the dense residential area of Beyoğlu, a historic neighborhood across the Golden Horn from Seraglio Point where Topkapı Palace overlooks the Bosphorus. 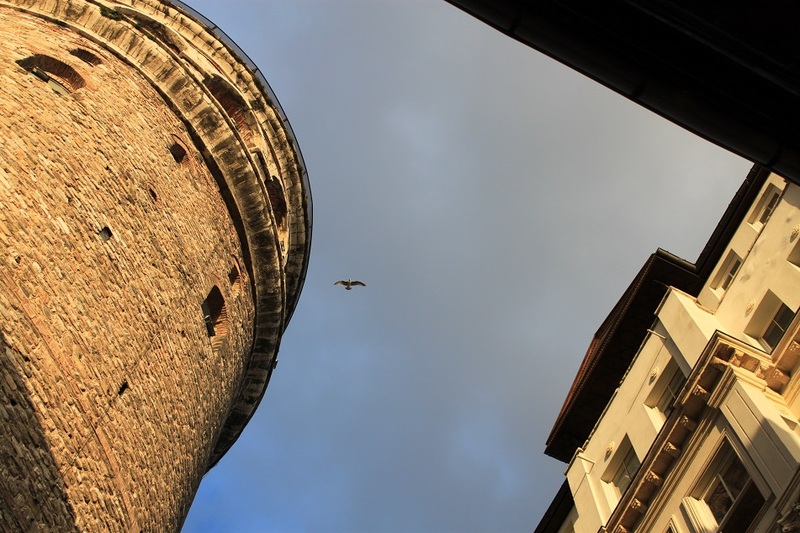 The 14th century Galata Tower – originally Tower of Christ – was built by the Genoese as the apex of the fortifications of the citadel of Galata. 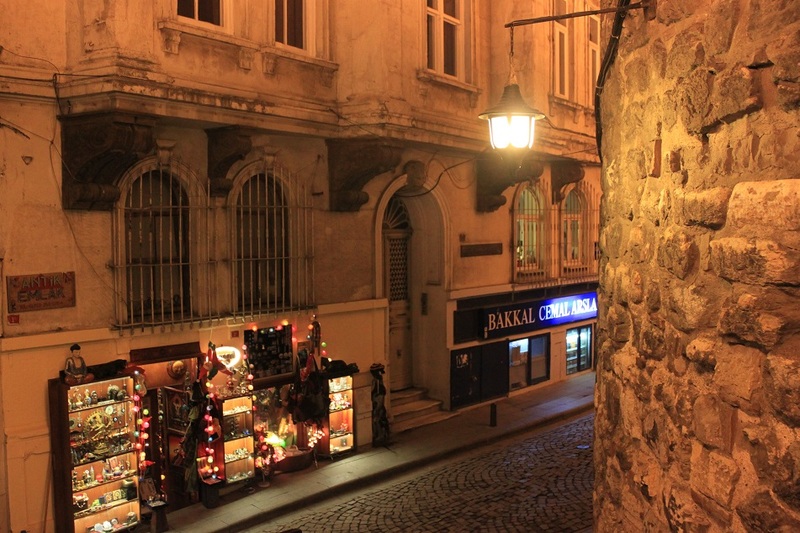 Now it still dominates the skyline of this lively part of Istanbul, perched on the hill of Beyoğlu. 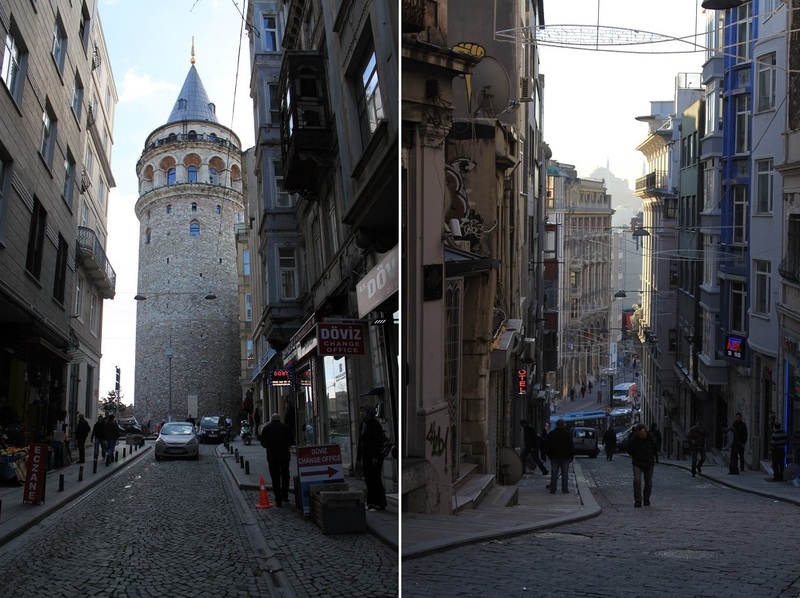 From Galata Tower we take an uphill walk through Galip Dede Caddesi, a small cobblestone street leading to İstiklal Avenue, the center of the hype in the city. The once Greek-dominated 3 km-long avenue saw its heyday when it was deemed the center of Ottoman’s financial activities. 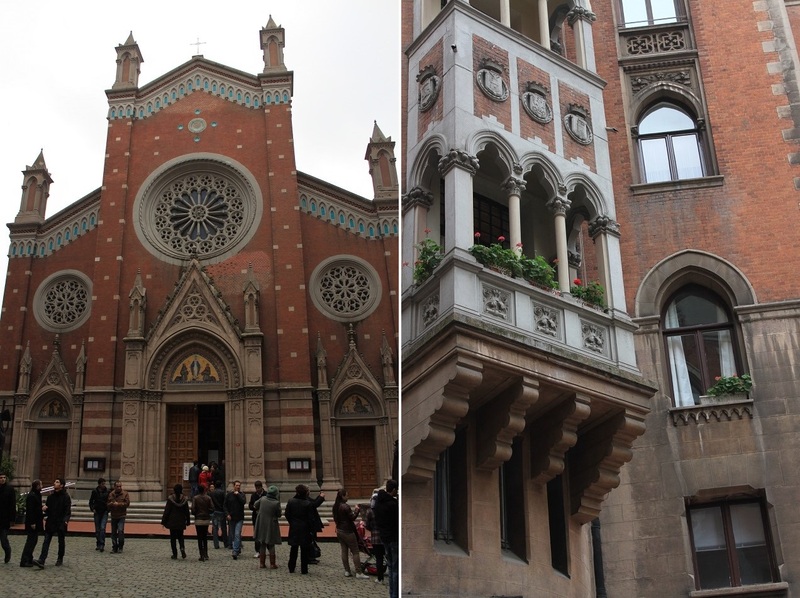 Banks and foreign embassies lined up on both sides of the avenue, including an Italian church, a Greek Orthodox church, and an Armenian church to name some of the avenue’s most prominent evidence of its significance as a melting pot. However, in 1955 during the height of Greco-Turkish feud most of the Greek-owned stores and restaurants along the avenue was vandalized and burned down. 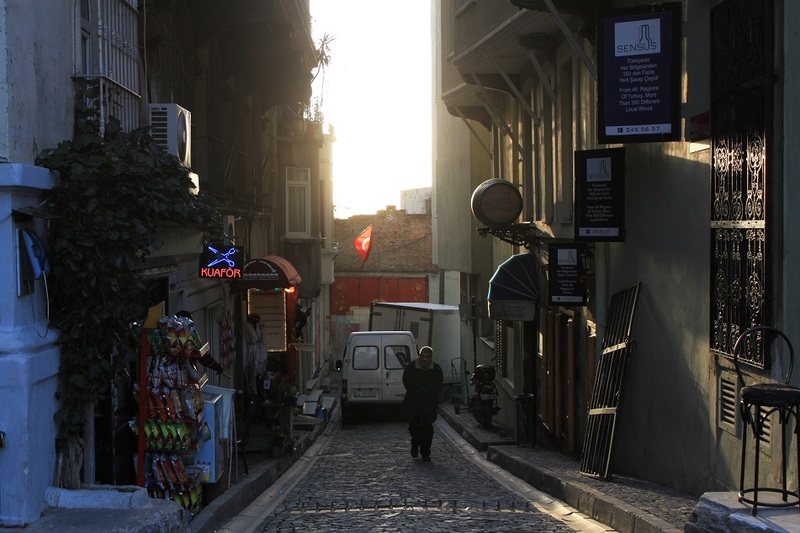 The pogrom resulted in the exodus of most of the residents of the once liveliest part of Istanbul within the next few decades, leading the neighborhood further into a downward spiral. We walk down the avenue, slowly absorbing the cacophony from the fancy restaurants, fine bookstores, upscale shopping centers, and casual banters of people and street vendors. 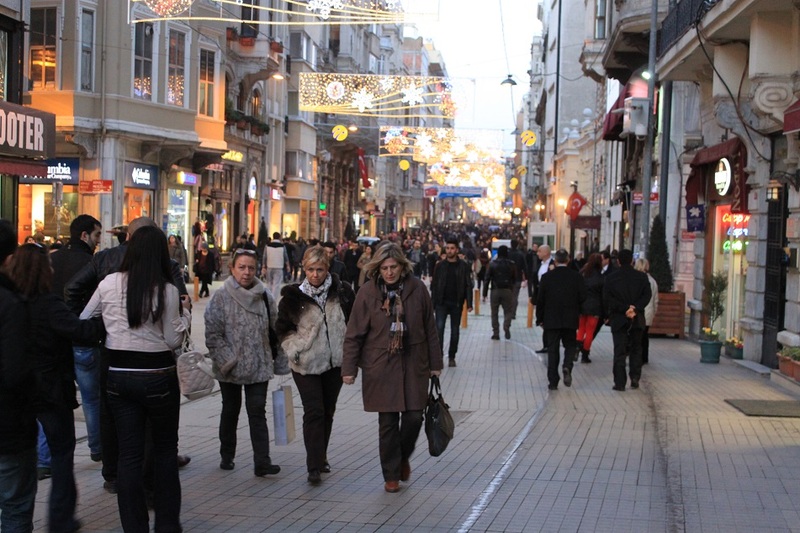 İstiklal Avenue today is clearly devoid of its dismal past more than five decades ago. 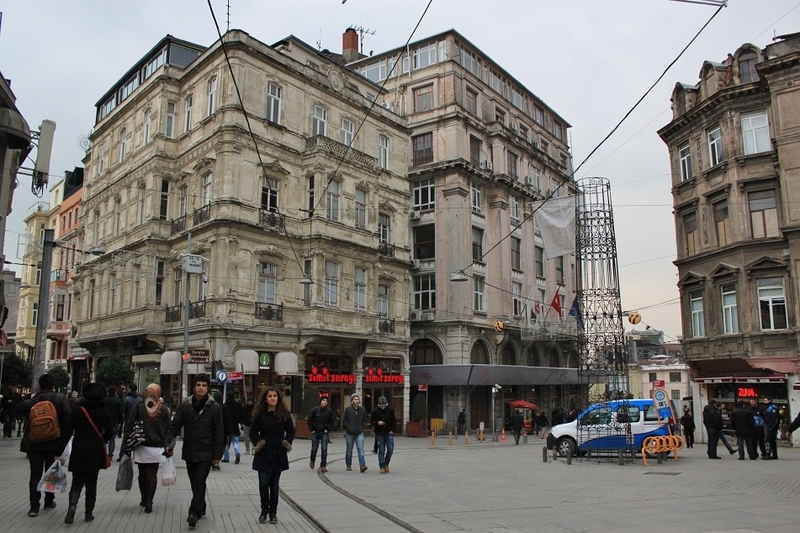 Realizing its potential as a hub for Istanbulites to meet and stroll down enjoying the day, the municipality commenced a full-scale restoration work on İstiklal Avenue and its surroundings in the early 1990s. 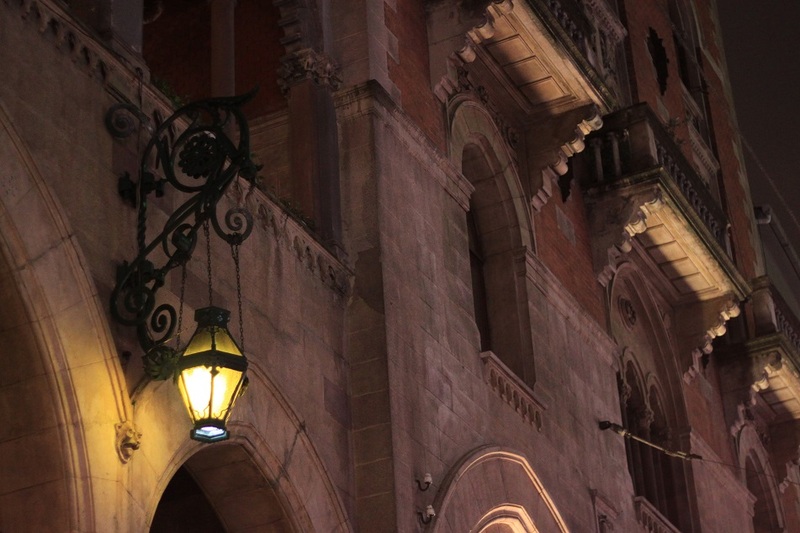 Historical buildings were restored to their old-time glory, the entire avenue was pedestrianized, and the historic tram line was reinstalled as parts of the gentrification of the entire neighborhood. Despite its present energy, one can still find peaceful sanctuaries off the main avenue. 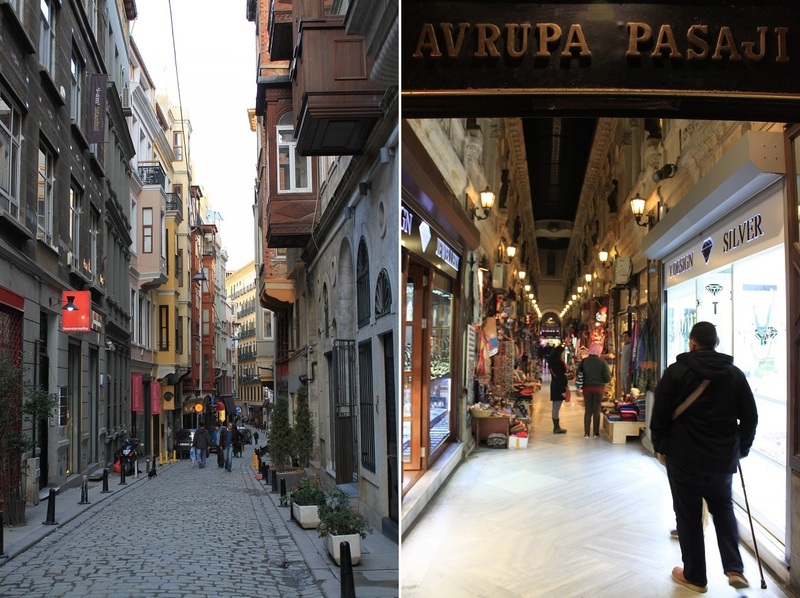 The Flower Passage, French Passage, and European Passage are some of the most tranquil corners for Istanbulites to wind down – as they also were during the heyday of the Ottomans. Walking further northeast, the avenue ends at a large square where the Monument of the Republic sits at the center of it and restaurants circle the perimeter. 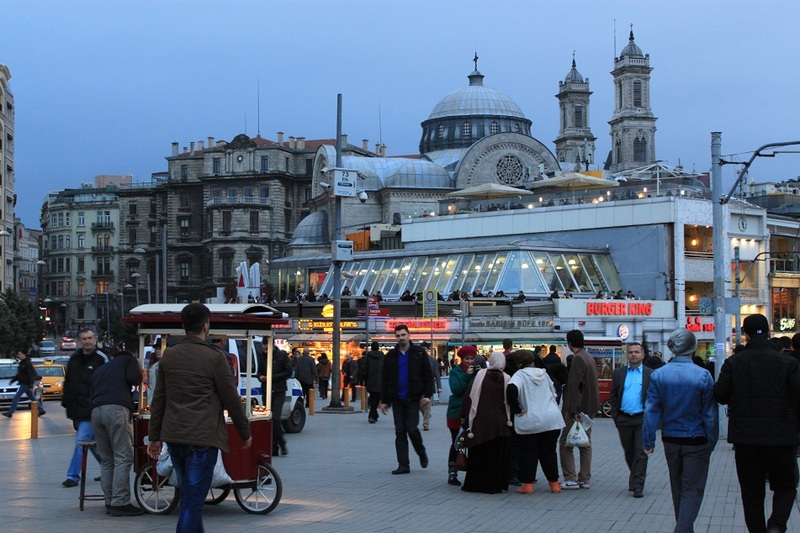 Taksim Square is considered the heart of modern Istanbul with the central station of Istanbul metro network located right beneath. From Galata to İstiklal Avenue to Taksim Square, it is here in Beyoğlu where the true battle for Istanbulites occurs. Women in black hijab walk side by side with those wearing western apparels. Men in business suits chat with those with prayer caps on their heads. Despite staunchly secular since 1923, Turkish are still in a perennial search for the ideal Turkish identity – Muslim, European, western, secular, religious, modern, traditional. Only one thing is certain, Turkey has and will always hold a crucial role in bridging the West and the East. Me neither, James! 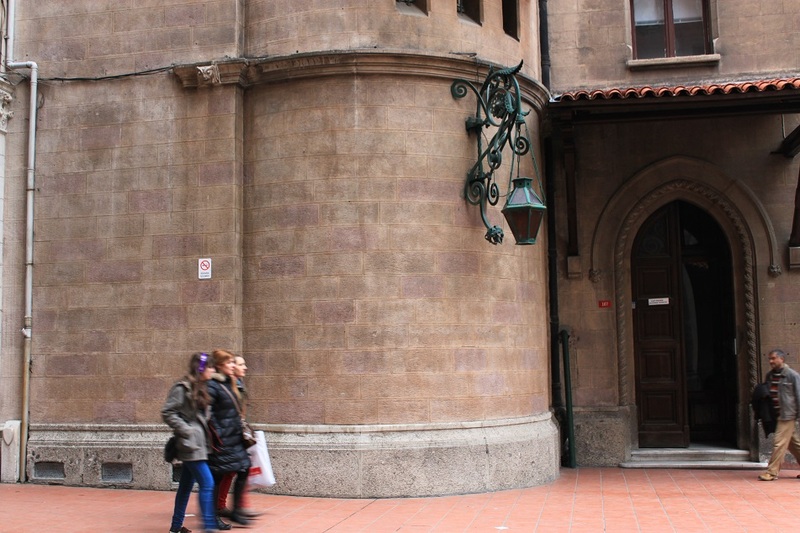 There are Swedish, Russian, Dutch, and Greek consulates along the avenue to name some of the reminiscences of the significance of this part of Istanbul as the real melting pot of the city. 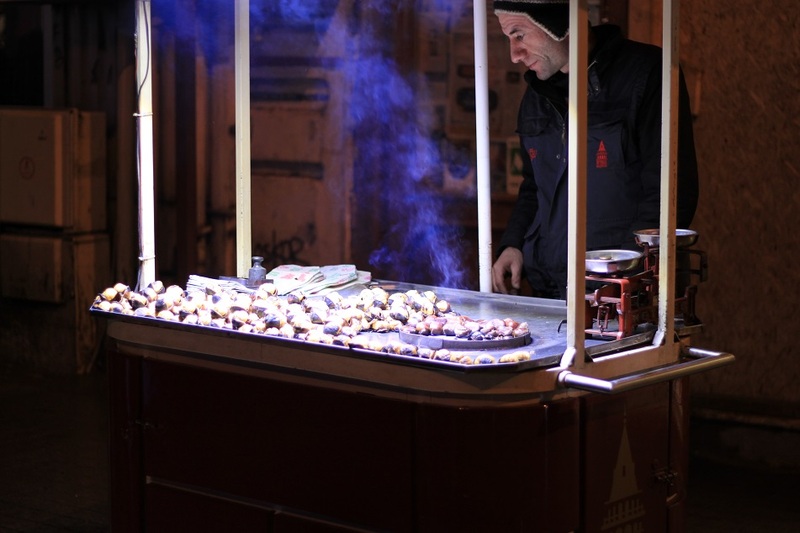 As for the chestnuts, I really enjoyed them – probably because of the cold weather. 🙂 Thanks! Hi, Are you still in Turkey – thats a seriously fun amount of time to be spending in one place- are u working there, or travelling for leisure? 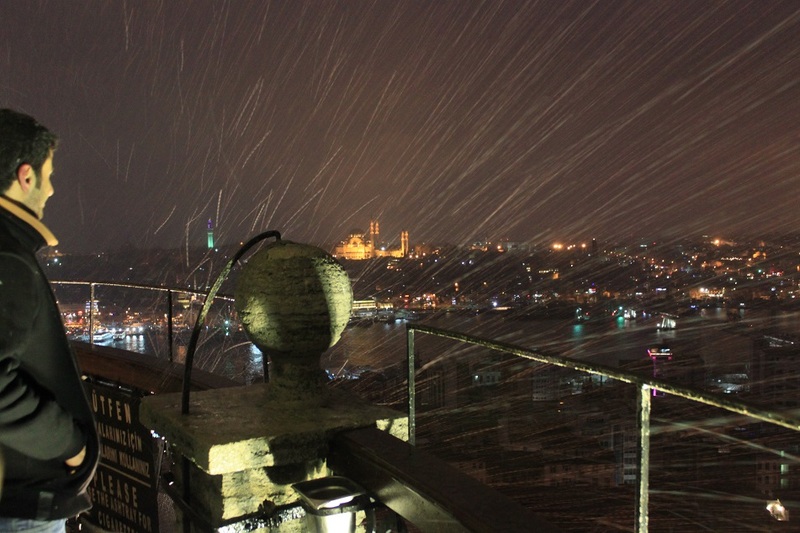 This post is so so beautiful in its evocation of the East-West meeting point and mixing in Istanbul, and the pictures are also very lovely. So enjoying seeing Turkey through your eyes. You seem to have a special bond with the place. Actually I have returned to Jakarta now. But it took me several weeks to publish my posts. 🙂 I went there with four of my colleagues as a part of the company outing. I was really lucky to be able to join them in this trip since I got so many interesting stories to share here in my blog. Next week I’ll be leaving for Taiwan and I hope I can interact with locals quite often because that is one of the best ways to get insightful stories. Thanks Kiran! Your photos and writings about Turkey are so informative and give us all a taste of Turkish life and history. I like photos that show ancient blending with modern, and I was glad to see that parts of the city have been pedestrianized. It seems the city fathers in many places are realizing the importance of pedestrian only areas. There are protests about educational reform occurring in Oaxaca right now, and sometimes entire sections of the city are blockaded by buses. The silence (and lack of exhaust fumes) changes the whole atmosphere. I look forward to your posts about Taiwan! Thanks Marilyn! It’s always a good thing to see how old and new can coexist because there are so many great things from the past that we can learn from. It always breaks my heart when old buildings need to be demolished in order to make way for the new ones. About the protests, I noticed it since a few weeks ago from the TV. I didn’t know they’re still staging the protests up to this moment. So do you like the atmosphere during the protests? Ah, this one more than all your other posts made me painfully nostalgic for Istanbul Bama 🙂 We had such a wonderful time exploring those beautiful alleys and Pasages! Don’t they seem almost Parisian? Some of your best ever photos….love them all! Thanks a lot Madhu! 🙂 Somehow I have rather vague memories of Paris despite having visited the city less than a decade ago. In fact at that point I started to feel the travel burn after traveling for weeks in Europe. But I would love to come back one day, also to Istanbul. Not just me, but my colleagues who went with me to Istanbul have their own beautiful stories from the trip. It really changed me in many ways. This is so interesting, such a diverse city. Beautiful pics. Thank you so much! Thanks Amy! One trip to Istanbul is never enough. I really want to go back one day to retrace the good memories and explore more of the city. 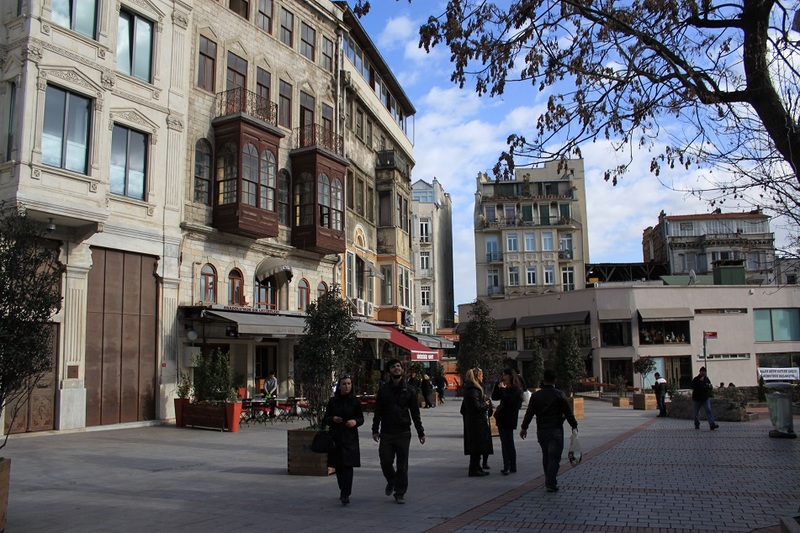 Beyoglu looks so much more cleaned up and gentrified than I remembered. Some of the streets look more western European. Thanks for taking me on a trip through your lovely photos. The snow curtain shot was very cool. Nice post! Got me all nostalgic for long nights of Efes and Raki and heavy mornings of Balik Ekmek and salted cucumbers. I love the street food here – lemon and mussels after a night out is genius. I have never seen so many bars in one place, not the strictest of Muslims to say the least… Happy travels! Thanks Sebastian! I was lucky to be able to book a very nice apartment in this neighborhood during my stay in the city for a relatively cheap price. I don’t think I will ever get tired of this area. I loved the food and the street scene. In fact there was a protest here at one night during my stay. Btw I really like your blog and will come back for more! There are usually small demonstrations on Istiklal, that’s true – but they are usually so entirely peaceful, I was also incredibly shocked when I began hearing about everything that was starting with Occupy Gezi. I recall my Turkish friends discussing their dissatisfaction with the government a great deal when I was living there last year, so it was more of a surprise just to see things realized and escalate so quickly. It was quite a movement. In a country where political and ideology division often fiercely contested as in Turkey, I believe such protests will always occur. But they were ‘unfortunate’ to have those protests only a few months before the IOC decided to choose which city to host the 2020 Summer Olympics. I just hope they will sort things out peacefully, somehow. I loved Istanbul and would go back to Turkey in a heartbeat! Such a wonderful country, indeed! yes there are many beautiful places in turkey.İzmir ,Diyarbakır,Eskişehir,Bursa,Antalya,Ankara,samsun,muğla,mersin,gaziantep,konya,mardin,adana…I wrote just a few ..but Istanbul is a fascinating city. One of the most intriguing places in Turkey for me is Mt. Nemrut. I would love to go there one day. My pleasure Sam. I’m glad you enjoyed this post. Istanbul is always my most favorite city ever. I won’t find the culture mix as I found in Istanbul. I totally agree if people call it as ‘magic city’. There is something that always call me to come again, again, and again to the city. It’s like magic. I wish I could live there, someday. Istanbul provides a rare combination of long history, modernity, rich architectural gems, tasty food, and so many other things that make everyone who goes there fall in love with the city at the first sight. the snow in the last picture almost looks like star trial!!! 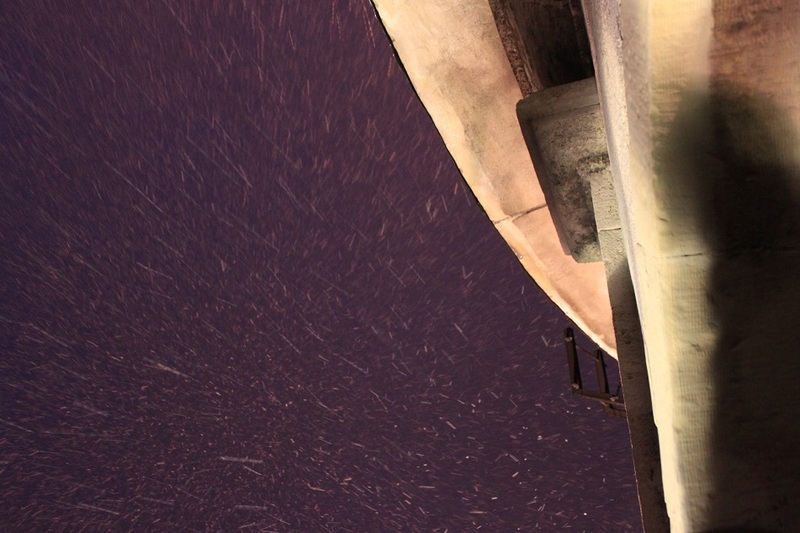 You’re right, it does look like star trail, thanks to the strong wind blowing that night.